We had the honor of attending the event held in Madrid by Altassian. The director of TALAIA, Fabrice Allibert has been in the exclusive meeting, where he has been able to know where the business teams are heading, the challenges that arise from technological changes and how to optimize processes in innovative terms. All this, deepening knowledge on the trends that in the near future will make companies go one step ahead, learning and knowing from the hand of the best professionals. 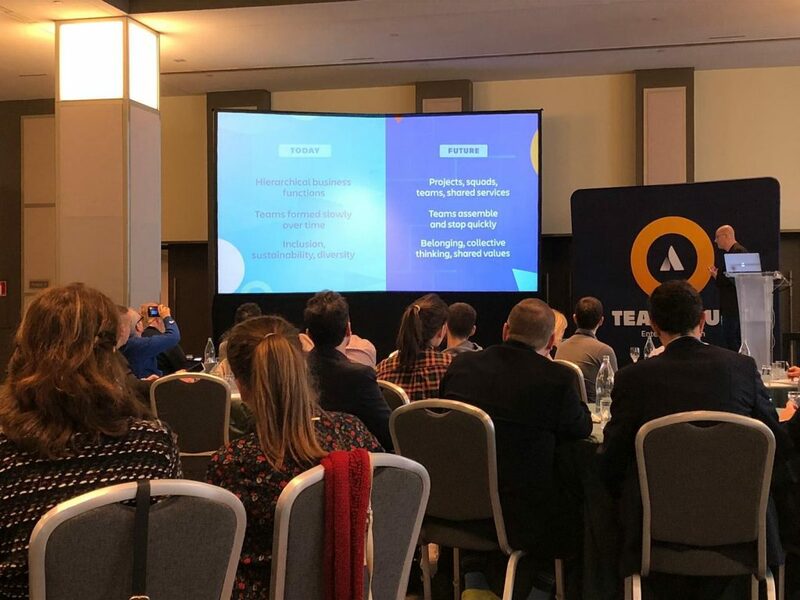 The event was attended by three important speakers: Junie Dinda, Marketing Director of Altassian, Vladimir Cavalcanti, Director of Channels of Altassian and Claudio Ombrella, COO of Beecom AG. Altassian are the creators of Jira, an online software tool for projects, which is used for the management and improvement of processes due to its functions for the organization of workflows, which thanks to its flexibility allows it to integrate perfectly with our tool of project management, TALAIA OpenPPM. Our proposal is a high governance solution based on PMBOK® standards that helps unify the information and introduces the company to a management culture and good practices aligning the entire organization with the business strategy. It is shaped as a governance axis integrating all these applications that the company uses, adding in this way the best of each of them in the same work environment. TALAIA includes the Jira connector. It has undoubtedly been a great experience from which we have learned to create more solid teams involved with the projects and the company, in order to complete their work in the best possible way. As well as to adapt the business strategy to customer satisfaction in relation to more optimal results.